Many people love wine and traveling, so there’s no better way to indulge their passions than doing wine tours in San Francisco. A luxurious wine tour in Napa Valley and Sonoma doesn’t have to be that expensive. All it takes is time to research the fabulous wine tour packages that will not make you break your budget. Balloons Above the Valley (BATV) has been providing highly-rated hot air balloon flights over the Napa Valley for more than 30 years. Our packages and their prices are varied and cater to both individual or group’s specific tastes and budget. You will be then transported to the valley inside a comfortable limo bus. Once on board, you will enjoy a fresh and delicious breakfast that consists of bagels, cream cheese, croissants, fresh fruits, and a “mimosa.” As you leave the city, you will also stop at vista point of the Golden Gate Bridge, where you will also have the chance to take photographs. As you travel through the Wine Country, your knowledgeable chauffeur will introduce you to several points of interest along the way. They are also ready to answer questions you want to ask. You will get to discover several wineries, from the top global players such as Domaine Chandon and Castello di Amorossa to the best-kept secrets like Artesa Vineyards and Winery and Miner Family Vineyards. You will also have the opportunity for wine tastings at the Jacuzzi and an olive oil tasting at the Olive Press to please your senses. This will be followed by a yummy and delectable picnic lunch. After that, you will be transported to the hotel of your choice (hotel fees not included). 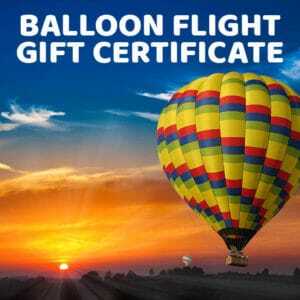 This is the day where you will take your sunrise hot air balloon adventure. You should never leave for the hot air balloon site with an empty stomach so a hot, fresh breakfast with Starbucks coffee will wake up your sleepy senses. You will be then be picked up from the hotel of your choice to the hot air balloon site as the sun is about to rise. This is where the adventure starts! BATV’s experienced hot air balloon pilots will have you in safe hands. Then you will be slowly and gently lifted up in the air, and the higher you are, the more exciting you will be to see the beautiful sights of the Napa Valley from another angle. The Napa fields will be slowly be basked in the sunrise light, revealing more of its beauty. You can see the verdant vineyards, now in the form of neat, organized rows. The valleys and the hills are dotted with lush trees and bushes, against the backdrop of the blue, clear sky. You will at last experience total peace, away from the hubbub on the ground, and feel you’re at one with Mother Nature. Of course, you don’t want to miss the opportunity to take pictures of the scenic beauty of the Napa Valley. You will want to linger more, but all good things must come to an end. But at least the end will still be great because you will be treated to a delicious and fresh post-flight seasonal brunch with Domaine Chandon wine. This is the chance for you to talk about that wonderful flight you’ve just experienced. If you want to do some last-minute shopping or sightseeing before leaving Napa, you may want to be brought to Oxbow Public Market or the Napa Valley Premium Outlets. If you choose to do so, you will be brought to the Ferry Terminal in Vallejo, California. Lastly, you will take the ferry back to San Francisco. Otherwise, if you want to go back to San Francisco right after the brunch, then you will be transported by a ferry back to the city. Whether you choose either of the two options, we provide you free tickets for your ferry transportation. Apart from the San Francisco Balloon and Wine Tour package, BATV also offers other exciting sunrise hot air balloon and wine tour packages that may click with your preferences and budget. A hot air balloon ride over the Napa Valley at sunrise will be the thrill of your wine tours in San Francisco. And Balloons Above the Valley is the only one that will give you a unique experience like no other hot air balloon company.